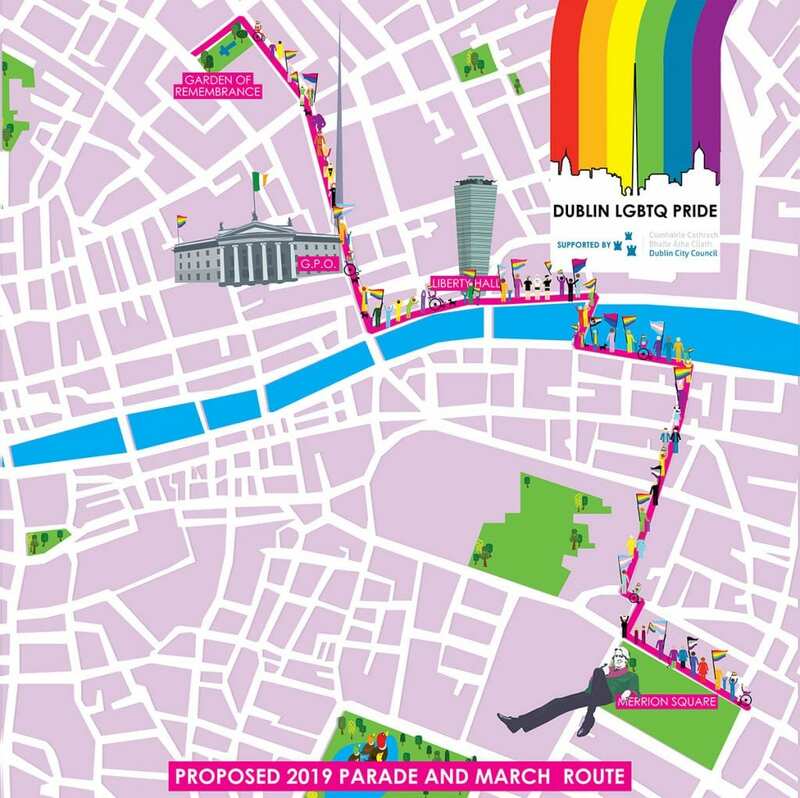 We are delighted to announce that the proposed route for the 2019 Dublin LGBTQ Pride Parade and March will see us return to the very heart of our city. Assembling on O’Connell Street and Parnell Square on Saturday, June 29th, 7,000 people from over 150 different groups with floats and marching bands and colourful costumes and lots and lots of noise will lead out the Parade. The Dublin LGBTQ Pride Parade is a free public event supported by Dublin City Council. Last year 60,000 people joined us on our march.